Problems at the office? Employees shopping on eBay or wasting time on Facebook? Doing everything but working? Or worse, stealing company intellectual property? You’re putting a stop to it, right now. Remotely monitor employee computers on your network in real time without them knowing. Show them the reports and then take back control! Attendance, screenshots, visited websites, used applications, keystrokes, email, files. New! Alerts for admins based on user actions. Get notified when they break company’s policy. They thought they could goof off when you’re not looking right at their computer? Well, no more Mr. Nice Guy. Keep an eye on the troublemakers, whether they’re on at their desk in your office or working from home. Secretly record every user action with TS Monitor. Then take action like a boss. Record user sessions on Windows RDS or Citrix XenApp server farms. Screenshots, used applications, websites, files, keystrokes and more. New! Alerts sent to managers, triggered by user actions: visited websites, used app, accessed files. The people on your network may not like computer monitoring software – but that’s why you need it. Increase productivity: Our software can improve productivity by reducing non-work-related computer use, such as social media, videos, games, and more. Additionally, installing monitoring software on employees’ work computers enables you to gather data on when your employees are most active. Using this data, you can figure out at what times of the day they are most productive and adjust their schedules accordingly. Protect against insider threats: Employee monitoring software helps you reduce the risk of data breaches and the theft of your intellectual property by identifying careless, disgruntled, or malicious insiders. You can set rules to prevent employees from engaging in risky behaviors, such as emailing sensitive company information. Generate reports: The software automatically generates reports on actions such as website visits, email use, and even Internet viewing. The keystroke logging feature records keystrokes in work applications, websites, and chats – in real-time. Protect against legal lawsuits, reduces liability risks: In many cases, your employees can sue you for a hostile work environment. You need to monitor your workers to ensure they’re not exposing their colleagues or people outside the company to inappropriate or offensive materials or otherwise harassing them. Keep records of electronic communications: Some organizations may have to record their employees’ activities and retain those records to meet certain regulatory compliance requirements. These records can be used in internal investigations, if necessary. Start Now Absolutely Free for 7 days! Alerts triggered by user action: Receive an alert as soon as a user visits certain websites, opens an application that is not allowed at work, or breaks other rules set by the company. That means you can spend less time monitoring users and take action at the right time when it matters. Get alerts by email and view policy violations in the web console. Employee Internet monitoring: View your employees’ web surfing histories. The software records all the URLs visited in any browser, even when a user is browsing in Incognito (Google Chrome) or InPrivate (Microsoft Edge, Internet Explorer) mode, or clears the web browser history. Our software generates a Top Websites report by total time spent on each website for every user in your network. Monitors program usage in real time: With this feature you know what applications your users are running and for how long. SoftActivity generates a Top Programs report showing the applications users spend the most time on. The software records local and remote sessions, such as RDP, TeamViewer, LogmeIn, etc., on your company’s computers. Captures screenshots of every every user action. Web console for admins and supervisors: View the activity reports for all computers and users in a convenient web console (installed on-premise) using a web browser. Search reports and filter by dates, computer, user, or group. Export reports to HTML or PDF, print them or export to Excel for advanced analysis and reporting. Track user attendance: View all user sessions on their computers or terminal servers with the following information displayed for each session: log in, log off time and date; computer and user name; session duration; top five used programs; top five visited websites; the total number of typed keystrokes; and the complete timeline of screenshots. Supports multiple users and departments: Multiple managers can track users in their departments. Create accounts for managers in the web console and assign access to users or groups. In addition, the SoftActivity Monitor console desktop app can be installed on a manager’s computer for real-time monitoring. An employee’s computer can be monitored by more than one supervisor at the same time from their workstations in real time. We have a long and proven track record. SoftActivity has more than 15 years of experience developing user monitoring solutions to meet our customers’ demands. As a result, our staff has unmatched technical expertise. We offer live monitoring of remote computers on the manager’s screen. A manager can see all the remote computer screens in real time, as with a security camera. We provide comprehensive user activity reports and logs in an easy-to-use web console installed on-premise. We offer real-time alerts. You don’t need to spend your time continuously monitoring users. You will get an immediate alert once a user breaks one of the rules set by the company. With our on-premise solution, your data stays secure inside your company network and on your server. No user activity logs are sent to the cloud. 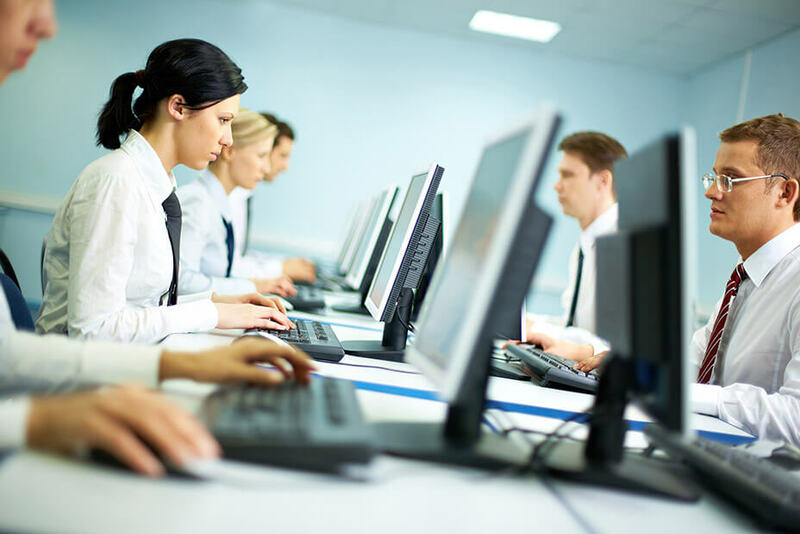 We offer user monitoring software for workstations and terminal servers. Supports Windows and Windows Server operating systems. We offer perpetual licenses – pay once and use forever. There are no monthly fees. Customers also get 1 year of free support and updates. Monitor employees’ computers in real time without their knowledge – from your own device. SoftActivity works invisibly, without slowing down your employees’ computers or your terminal servers. Track websites your employees visit. You can tell how long Brad in accounting spends on Facebook each day or whether Sharon in customer service spends part of her day shopping on Amazon. Record your workers’ e-mails. End workplace harassment, IP theft and more. Record keystrokes in work apps, emails, websites, and IM chats in real time. See what’s happening as it’s happening. Generate reports and schedule screen captures. Then you can show your “bad” employees the evidence of their wrongdoings. Even better, show everyone. Reduce insider threats. Prevent intellectual property theft and data leaks by insiders. Train new employees. With our monitoring software you can see if new hires perform their duties correctly and in an optimal way. If not, you can show and train them how do perform their jobs properly. Protect your company from liability and lawsuits arising from employees using your equipment for illegal activities, workplace harassment or online bullying, and employee termination. Many companies are looking towards using employee monitoring software throughout their business so they can keep.. The Chinese drone manufacturer, DJI, has discovered that it stands to lose almost $150 million as.. Penetration testing is one of the best ways to find the flaws in your network’s security.. Cold boot attacks have been a tool that hackers have used to gain access to data.. According to the Glassdoor, the average company in the United States spends almost $4,000 to hire..
SoftActivity is glad to announce the release of new version 11.8 of SoftActivity Monitor, its leading..
SoftActivity is announcing the release of SoftActivity Monitor version 11.7. Upgrade is recommended to all users..
We have released new version 11.6 of SoftActivity Monitor, a leading user monitoring solution that helps..
SoftActivity announces the release of the SoftActivity TS Monitor version 5.5 – its user monitoring software for..
We at SoftActivity are excited to announce the release of Activity Monitor new version 11.5 that..
SoftActivity released new version 5.3 of TS Monitor, its user monitoring solution for terminal servers. This..